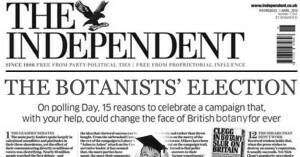 In what the broadsheets are hailing as a “major first for botany”, Dr M is making history and shaking the very foundations of British democracy as labour and tory leaders vie for the extreme botany vote. 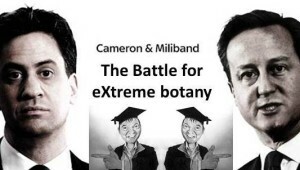 In the recent TV showdown, David Cameron must have been regretting not going for a head-to-head with Milliband as Paxman tore into him over his dismal record on eXtreme botany. Paxman was then accused of a personal attack on Miliband, probing him about his relationship with plants and questioning whether he was “tough enough” to become Prime Minister as a “north London botany geek”. “Am I a botanist? Hell Yes!” retorted Milliband, and proceeded to try to wrong-foot the Tory campaign by announcing the Poaceae song as the Labour campaign signature tune. 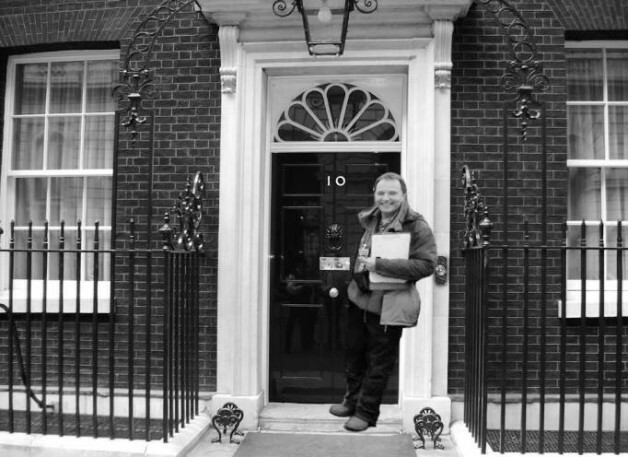 And this much to the bemusement of the Greens who had already claimed “Green and wonderful” for their own! Loving the way Miliband pushing back at Paxman – OK he fluffed the Poaceae song – but clear passion, principles and a proper plan for eXtreme botany #BattleForMore Poaceae. Fury as Kay Burley is accused of bias after being caught faking botany with David Cameron backstage at #BattleForeXtremebotany debates. 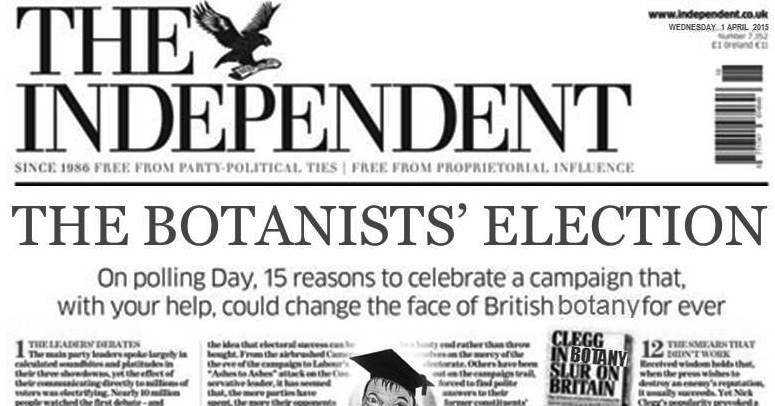 Political commentators said: there was no clear winner, but many claim Paxman was the real botanist of the night. Dr M says: It’s never been clearer, our political leaders ignore eXtreme botany at their peril!